THE BENEFITS OF USING AN EXECUTIVE RECRUITER - AKA "The Headhunter"
As far as I’m concerned you can call me a recruiter, a talent specialist, a hired gun or just simply Headhunter. Truth be told…I love what I do and the thrill of the search. Finding clients and that hidden talent, aka the purple squirrel or unicorn candidate is the key value a great recruiter brings to the table. The services of outside professionals are used by leading edge organizations and companies for all types of skill positions in today’s competitive market. Executive recruiters should be viewed in the same light: as skilled specialists who can identify the best candidates to fill important positions within the company. I tell my clients to think of us as an extension of your company for a short period you are adding a talent acquisition arm to your team. Here are a few things to consider regarding what a recruiting talent specialist brings to the table. Recruiters provide strict confidentiality, an extensive network of contacts, objectivity in candidate evaluation, and negotiation experience and expertise. Organizations with a key opening can be vulnerable. Confidentiality can keep competitors from being tipped off to management shake-ups, new product and market initiatives, and can protect against employee and supplier apprehension. Recruiters value the sensitive information they become aware of during the search process and respect their client’s vulnerability as well as the candidate. Recruiters can tap into a global network of contacts. Your critical jobs can be filled faster and with higher quality and more interested prospects. Most often, the best candidates are already employed, and many of them will deal only with a recruiter. They appreciate the worth of third-party representation, confidentiality and professional mediation. Recruiting superior candidates can be a complex process and is best performed by a professional. A great search firm in their niche’ will have established a high-performing external recruiting talent pipe line. They are strategic, having operated within the space for years and have a long-term talent-supply focus. Recruiters are cost effective. The benefit of using a recruiter can be weighed against the cost of preparing and executing an advertisement campaign, screening and qualifying candidates, and operating without a needed employee for an extended length of time, compared to the relative insurance of getting the right person for the job. Recruiters in a full-service firm provide concierge level services to save you time. A full-service firm will schedule everything from telephone/video screen to face to face interviewing. Recruiters offer choice. A full-service firm will typically pipeline 3 candidates for you to choose from depending on local market conditions. Recruiters are an investment in improving the quality of an organization’s staff. But even beyond that, the risk in not using recruiters can be great. For smaller companies – where one hiring mistake can have disastrous results – using recruiters is sometimes more important that for very large companies. People are a company’s more important assets. They can make or break the fortunes of a business. Recruiters will provide outstanding relevant salary data from real world searches and interacting within your specific industry. At our firm we believe the first offer is the best offer and a great firm will also align salary expectations. The #1 reason I hear from company internal recruiters calling us about a great candidate they lost is this…most of the time they relate that they had no insight on what the salary expectations were. They also ignore differences in benefits and perks which can be substantial and vary from company to company. 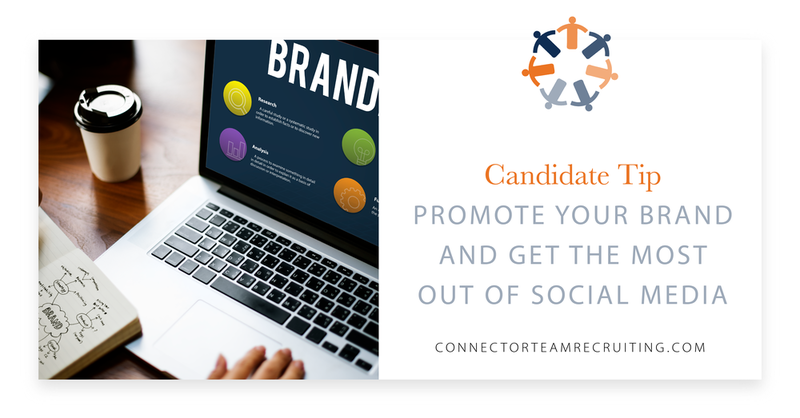 Recruiters save you time and help you focus on building your brand and spending time in your business versus sorting through resumes from job boards and or trying to reach that hard to reach busy executive. Professional recruiters can deliver the right people for today’s highly competitive business environment. A great recruitment firm has a high acceptance rate saving you time and the plus is getting that position filled quickly which means it will ultimately save you time and money. Retained search – typically the top 10% of recruiters work on a retained basis and most of this work is done at the Department Director level to C-Level assignments. For this type of search the company provides a retainer to engage the services of the firm. This allows the firm to dedicate hours and resources and provide specific focused attention. They become your hiring arm for the term of the engagement. At the executive level a pre-determined estimate or fee is developed based on salary and 1/3 is paid upon start of the project, 1/3 at presentation and interviewing of the executives and 1/3 upon placement. Contingency Search – It is our belief that contingency search can be used when you are growing rapidly, have an internal recruiting arm and just need a boost of candidates. For example; you have a new sales focus in a new vertical and you need help to keep up with the growth of the department. There are some highly skilled big firms that will work on a contingency basis, under this method the recruiter works non-exclusively and only is paid upon the hire of a referred candidate. The downside is that recruiting firms that work contingency can be working on multiple projects at one time. Modified Retained – Modified Retained is a great way for a small to medium sized company to get the focus they need with some flexibility not offered in the Retained Search model. A small engagement fee is negotiated up front based on the assigned recruiter’s estimate of the project difficulty. The engagement fee is credited to the final fee investment at the conclusion of the search assignment. This format gives the company the ability to have an outside talent arm looking and is a balanced approach to gaining access to additional talent. Most Modified Contingency engagement fees are non-refundable. If you suddenly have an internal recruit fall into your lap you are not locked into the front-loaded expense in the Retained search model. Under this model both parties have what I call skin in the game. The firm accepts a modest deposit and must dedicate the resources to ensure that they complete the assignment and thereby generating the full placement fee. Top firms will include a time limit to produce 2-3 qualified candidates. The company provides a small deposit which is a commitment to the firm that they are committed to sourcing talent with an outside search. Important tip - when choosing an Executive Search firm partner the most important decision maker is this” Hire a specialist in your industry! For example; if your company is in the Automotive industry and you come across a firm that mainly specializes in oil and gas, you should network with that recruiter to find someone that works in your niche’. We are approached all the time to work in different SIC codes and outside of our office specialty. Early in my career I did take an assignment or two outside my area of expertise and today I know better. When approached to do an assignment outside of my expertise I will always refer the prospective client to someone who has the expertise to do the job right. We are pleased to highlight this month a copy of the 2018 Performance Management Study completed by the MRINETWORK our parent company. Our office is part of a Global network of over 1,500 recruiters worldwide who work each year to provide outstanding in-depth real-world data and tips from the trenches. In October of last year, our marketing department conducted the 2018 MRINetwork Performance Management Survey, surveying candidates and employers across the U.S. to assess strategies that hiring authorities are leveraging to attract and retain talent vs. what employees and candidates want employers to prioritize. Hiring authority and candidate attitudes were also compared on recruitment tactics, including perks and other concessions that employers are making to hire top talent in a tight candidate market. At our office we definitely see an emphasis on perks in the Furniture and Appliance verticals. Relocation - Candidates are not relocating as readily or changing jobs without serious consideration and motivation including a healthy bump in compensation and vacation time. This is being driven by competitive market forces. They know that another opportunity may be just around the corner if they stay in place. Health Insurance and Paid Time off – This area continues to be big issue as well and the cost of Health Insurance is causing financial pressure with candidates transitioning from company to company. These include large Cobra costs and differences in coverage company to new company can impact a candidate’s decision. Counter Offers - Another trend we've seen is a big increase in counter offers. We take measures on every search to prevent counter-offers from happening. We work with the client to pipeline the candidate’s rapidly while synergies exist and we work with the candidate/executives to know their salary requirements job transition and relocation capabilities. We hope you enjoy this study which details the top workforce challenges that employers will be prioritizing in 2019.